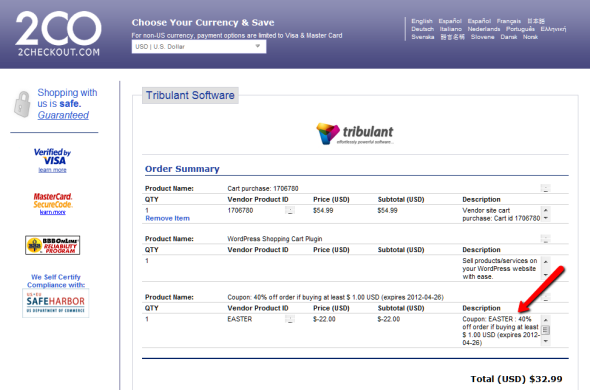 You can buy all Tribulant Software plugins with 40% discount until April 25th 2012. Act now before this promotion is gone! Embedded Images – Attach/embed images into emails instead of loading the remotely to prevent image disabling and immediate loading of newsletters. 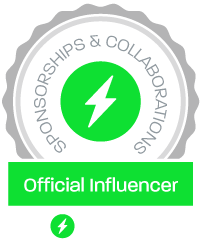 Affiliate Tracking, Netcash Payment Gateway, SagePay Form Protocol Gateway, Zoom Gallery, BluePay Payment Gateway, First Data API Gateway, iPay88 Payment Gateway, APCO Limited Payment Getaway – all working with the Shopping Cart WordPress Plugin. Enter coupon code EASTER to get 40% discount of any of these plugins. 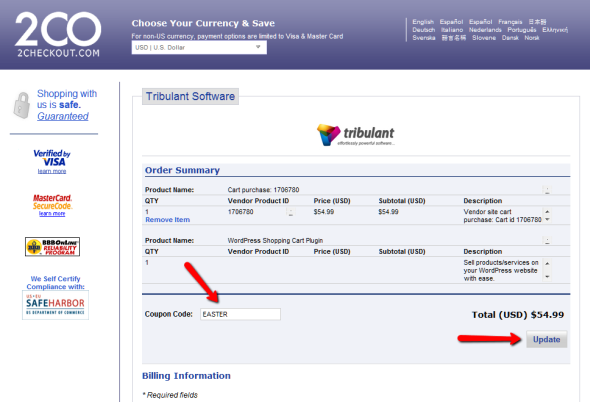 Important: Enter the coupon code once you get to the 2Checkout payment page, not on the Tribulant checkout page. See the images below. Here is the message from Tribulant Software.